It is estimated that one in nine people globally lack access to safe water. Michigan State University researchers are looking to fill that critical need and provide safe drinking water to the most remote locations in the world with a new foam water filter that significantly reduces dangerous pathogens in drinking water. Published in the American Journal of Tropical Medicine and Hygiene, the study examined a multibarrier biofilm foam filter, designed and manufactured by Amway, as a low-cost alternative to existing household filtration methods. “The foam filter combines existing water treatment principles and is evidence that conventional municipal water treatment processes can be reinvented into a small, light and portable system,” Rose said. The filter features a unique biological layer, which allows organisms within the foam to attack foreign pathogens as water passes through. Growth of ‘friendly’ microorganisms in this layer enable the filter to become more efficient at reducing protozoa, bacteria and viruses over time. The newly discovered material also has other advantages such as ease of use, maintenance and affordability. Many existing filtration methods do not effectively reduce microbial levels and can be complex to use and tedious to maintain. Communities that take ownership of water supply maintenance and sustainability successfully become invested in that supply, according to Rose. 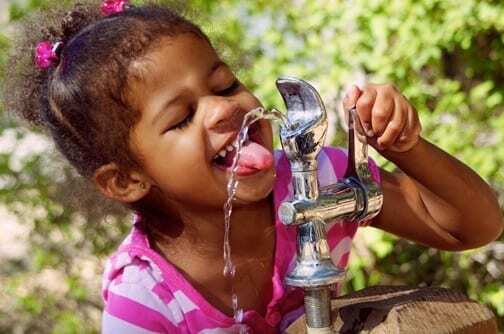 April 1, 2019 - Listen Up, Entrepreneurs: It’s Time to Launch Your Clean Water Solution FuturismBy 2025, two-thirds of the global population will face water shortages. These people are stepping up to take on the challenge.